Every man with curly hair knows the struggle is real. This hair type can be unruly and hard to tame most of the time. While some may think that curls should be shaved off or may not work for their face shape, we’re here to tell you otherwise. 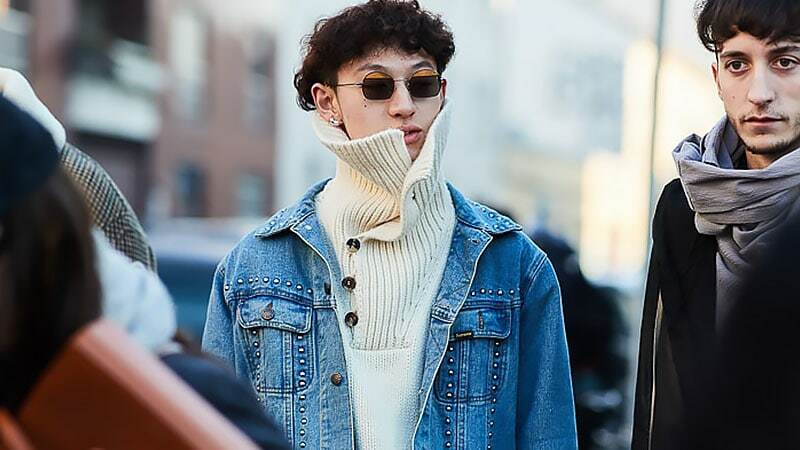 To show you how to work with your natural texture instead of against it, we’ve rounded up a selection of stylish looks you’re sure to love. 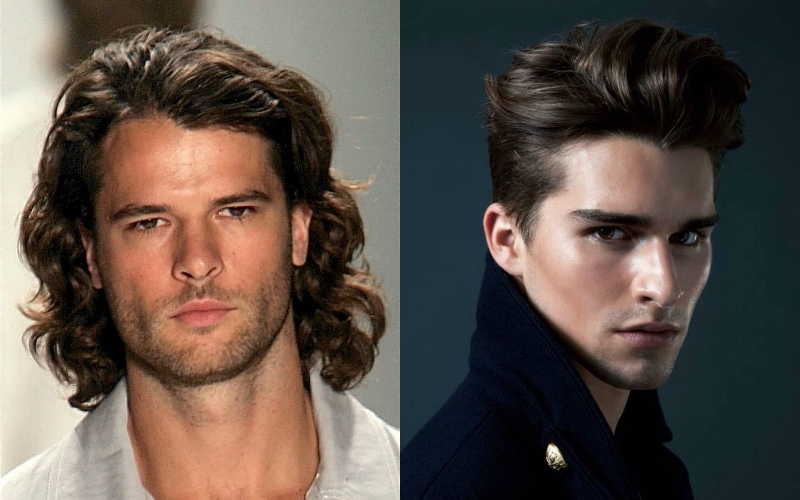 Here are the sexiest curly/wavy hairstyles and haircuts for men. If your curls are too wild and hard to manage when they’re long, then a short haircut is the right choice for you. However, it’s essential to find the right cropped length to suit your curls. If you have tight ringlets, an ultra-short cut can work well. However, if your curls are loose or if your hair is wavy, you should leave at least a little bit of length on top. By doing so, you’ll be able to subtly show off your curls instead of turning them into a fuzzy mess. Whether your hair falls naturally in tight spirals or cascades in waves, a shoulder-length cut can make an excellent style choice. 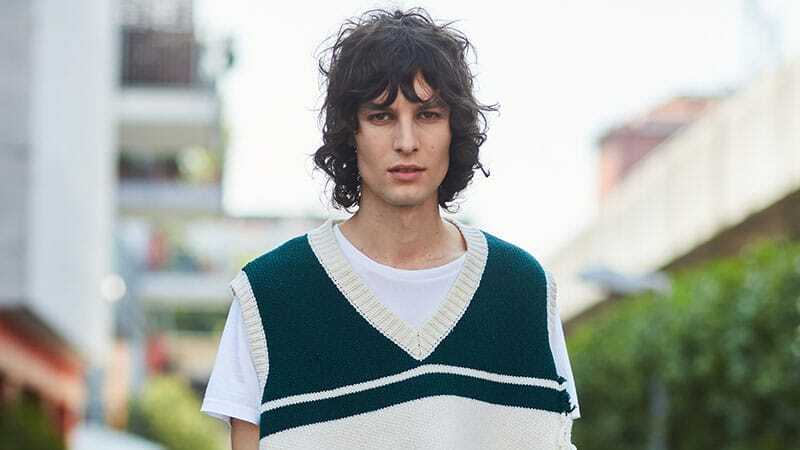 The length is long enough to show off your epic natural texture but also short enough that it still appears presentable in formal situations. Additionally, a shoulder-length cut can provide you with an array of styling options. So, whether you want to rock a man bun, ponytail, half-up or leave your locks loose and swept-back, you can do so with this haircut. Curly hair can often be unruly and challenging to manage. Therefore, a cut that helps keep your curls under control can be highly useful, especially if you work in an office or have minimal time each morning to style your strands. As such, a fade haircut makes an excellent option for gents with coiled locks. To nail the look, just ask for a cropped length on top that gradually shortens down the sides to reveal a clean shave around your ears. The undercut may be military-inspired, but done with curls and it is an entirely different look. Curls add a bit more dimension and fullness to this favourite hairstyle. Channelling your curls in an undercut is an excellent approach to tame your locks for a few reasons. 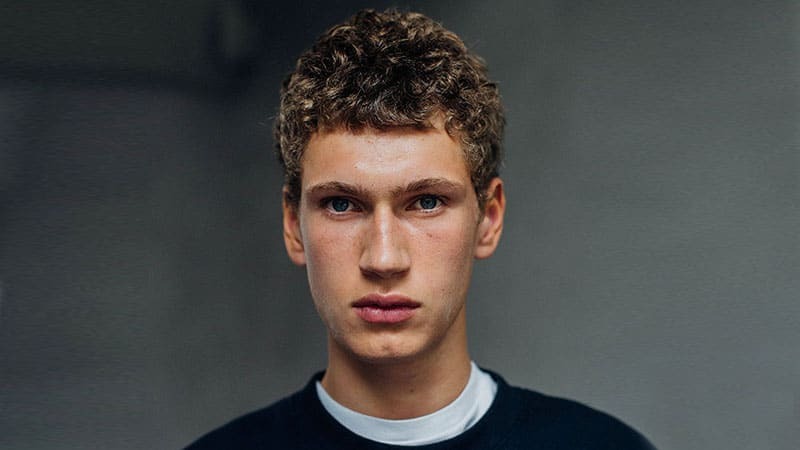 Particularly for gentlemen with unruly curls, an undercut boasts shorter sides, meaning the only coils you’ll need to manage are the ones up top. Further, an undercut looks fantastic with different lengths, so you’re free to go for any length that suits your face shape. 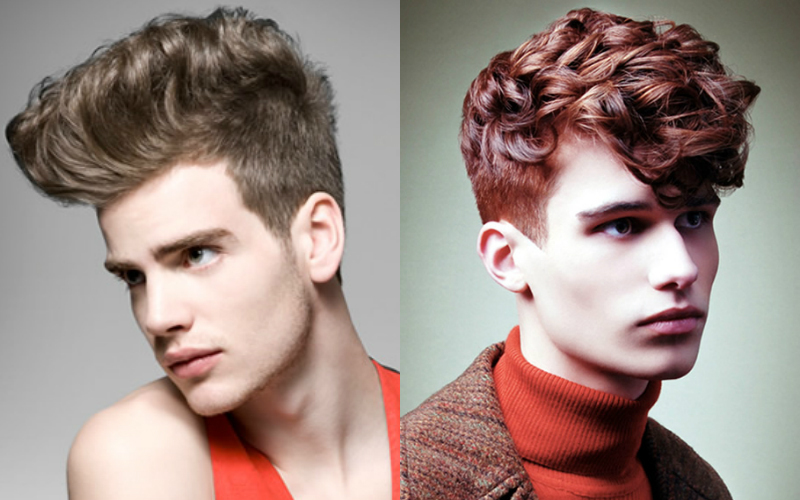 The pompadour is a statement in itself, and curls take this hairstyle popularised in the fifties to a new level. Curls will boost the thickness and fullness that a pompadour already possesses. The trick to ensuring that a pompadour works best for your curls is to manage your natural waves, so your hair is kept neat and in place. Work with your natural hair type for a redefined pompadour. The bowl cut is back and looking better than ever. 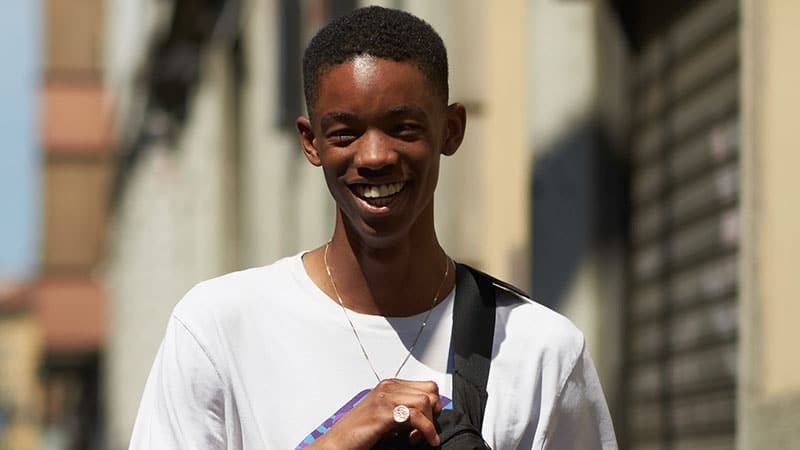 While smooth, perfect bowl cuts may have been on-trend in the ’90s, today’s modern bowl cut is full of texture and a little bit messy. 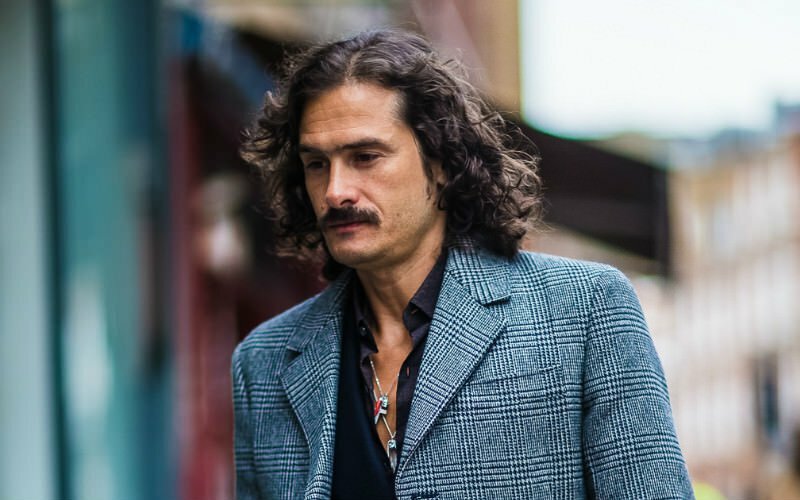 As such, gents with curly hair are the perfect candidates for rocking this style. To nail the look, just ask your barber for a low undercut with a long length on top that sits evenly in line with your bangs. Then, just play up your natural texture to ensure a cool and carefree throwback appearance. 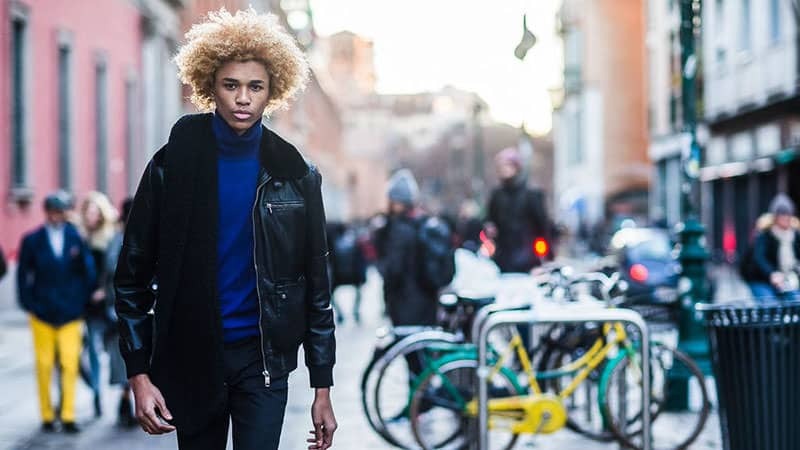 If you’re looking to add some definition and edge to your curly haircut, consider opting for a hard part. A hard part, which is a part created by shaving a line into the hair, can achieve a clear distinction between different sections of hair. As such, it creates a sharp appearance, which perfectly balances the relaxed aesthetic of textured curls. Try one with your next cut if you like to part your hair to one side and are looking to shake things up. 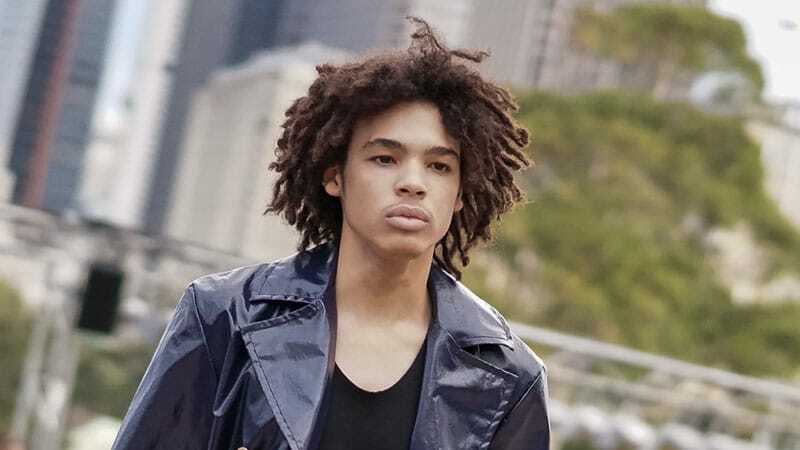 We are talking about statement hairstyles for men with curly hair, and slicked-back curls are undoubtedly attention-grabbing. Matte or glossy, utilise a product that will complement your hair’s natural texture and will be long-lasting. Also, be conscious of your hair length and ensure that slicked back styling will suit your face shape. 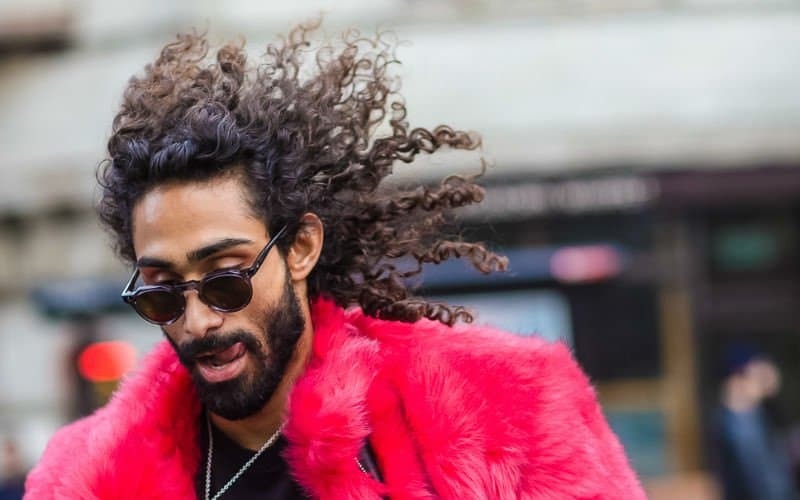 Men with longer curls will be afforded more versatility when slicking back their hair, as they can switch up how they part it and the way the curls will sit. The staple hair trend of the twenties and forties, the side part is one of the most iconic and timeless hairstyles of all time. 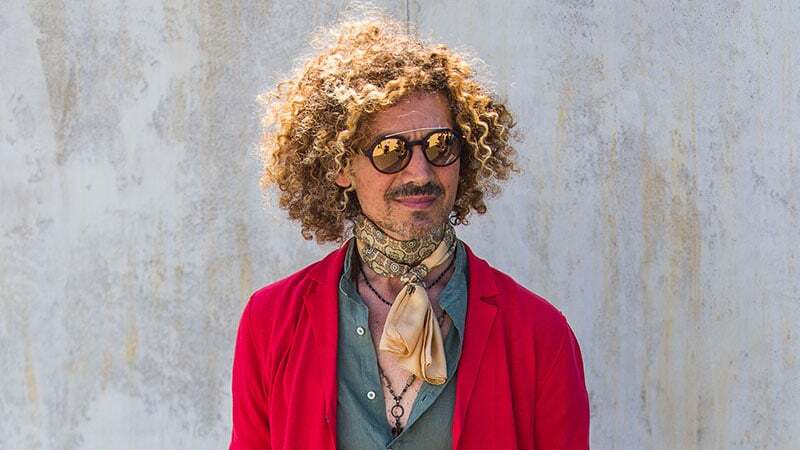 Men with curls should rejoice for this ‘do because curls maximise the volume of a side part and lend well to the vintage aesthetic this hairstyle brings with it. Ensure that you part your hair on the side that suits the way your hair naturally grows and opt for a sleek, glossy finish for an authentic retro revival. One of the best hairstyles for men of different age groups is the quiff. 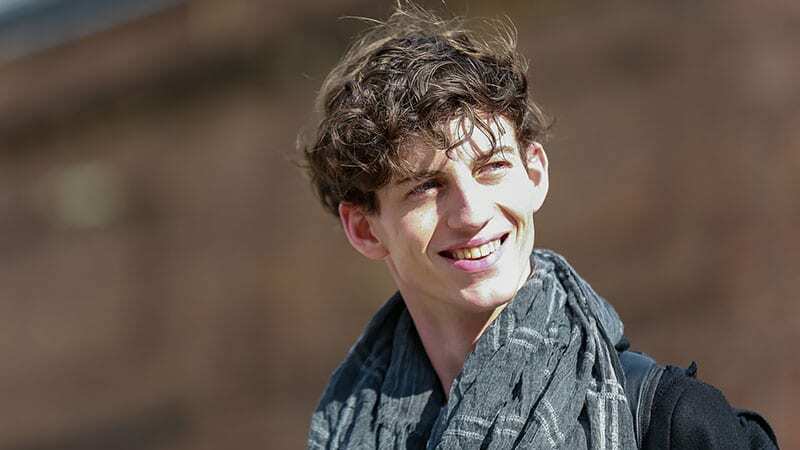 It’s classic and very well suited to gentlemen with curly hair. Quiffs are styled by brushing the hair upwards and away from the face, but for men with curly hair, things may not be that simple. 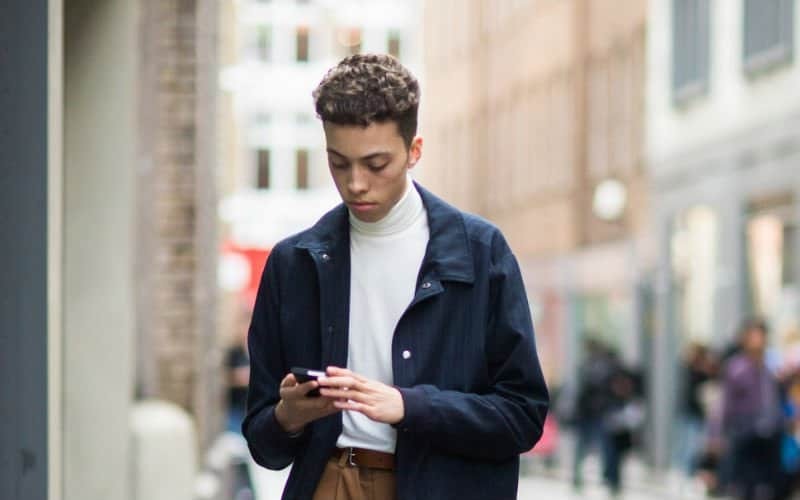 The key to perfecting a curly quiff is to experiment with the way your hair falls, rearranging sections so that your curls are enhanced and not overly scrunched. Try refraining from blow drying your natural curls for a quiff, as you want to capitalise on your natural hair type. If you are in possession of thicker, fuller curls, use your hair’s natural body to your advantage. While many people may tend to feel intimidated styling thicker curls, a shorter hairstyle can help you manage the length. Be sure to use a high gloss product, which will distinguish your curls better. Matte products can make thicker hair a bit more challenging to work with. 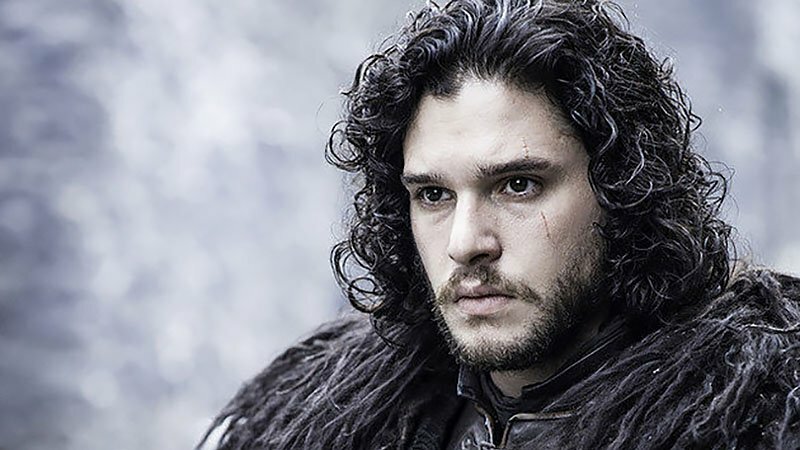 Many men naturally have smaller, tighter curls. 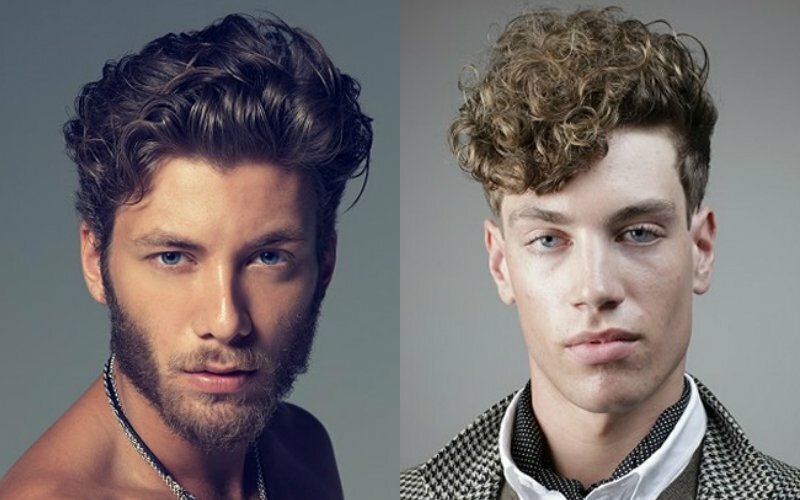 You can enhance your natural curls with a pomade or styling mousse, working product in with your fingertips. Also, be sure to start off with a smaller portion of hair product, then build your way up to using more should you feel the need for it. Well suited for casual days, beachy curls rely on much more texture than a typical glossy ‘do. 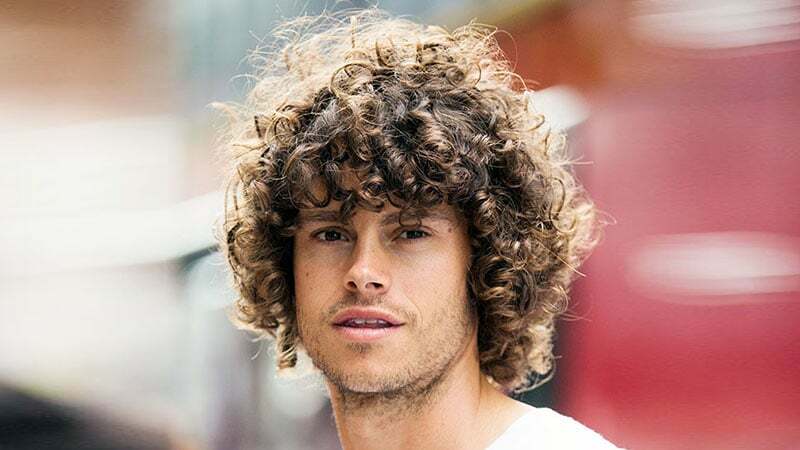 Beach curls are also a great statement hairstyle for relaxed gents as they offer more freedom when it comes to drying your hair and applying the product. Yep, that’s right; beachy curls are best done messily. That said, achieving messier hairstyles can at times be more difficult to perfect. Our tip is to find a great sea salt hairspray for carefree styling when your curls get unmanageable. 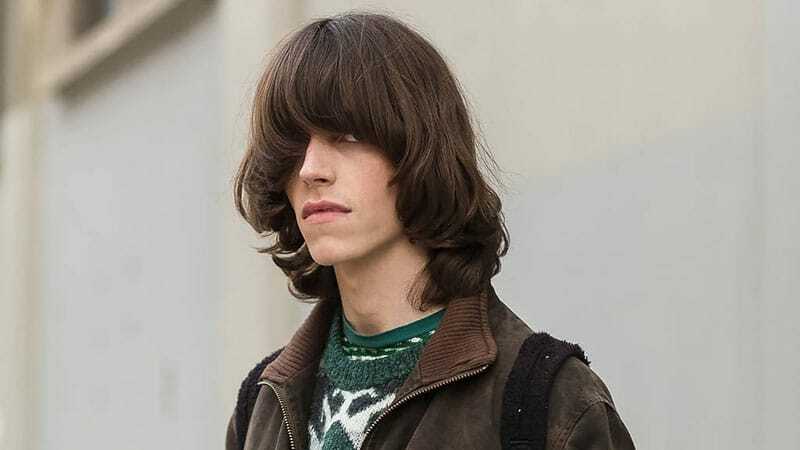 The curly fringe relies on a thick mane of hair. You want to be able to have a lot of thickness when you are styling this take on curls. After styling your hair with a shiny pomade, apply a bit of hairspray to ensure everything sits right. A curly bob for reference in this article refers to longer curls that have grown out but are not long enough to hit below the chin or shoulders. 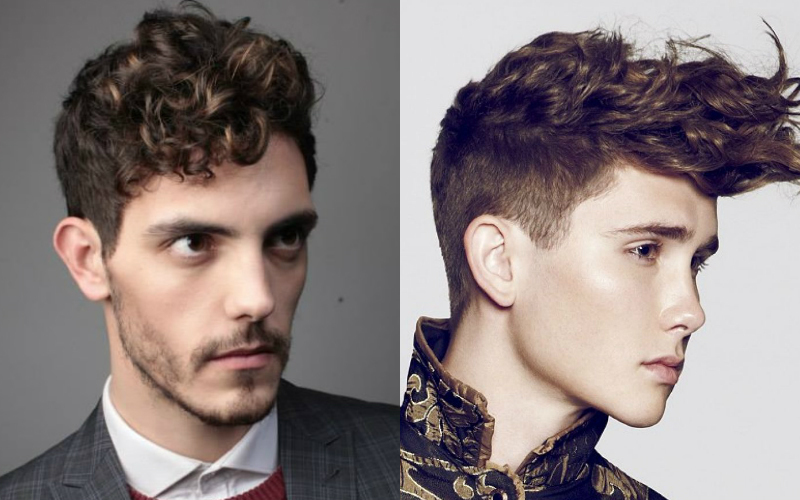 When curly hair grows out, there are specific lengths where its styling works most favourably. 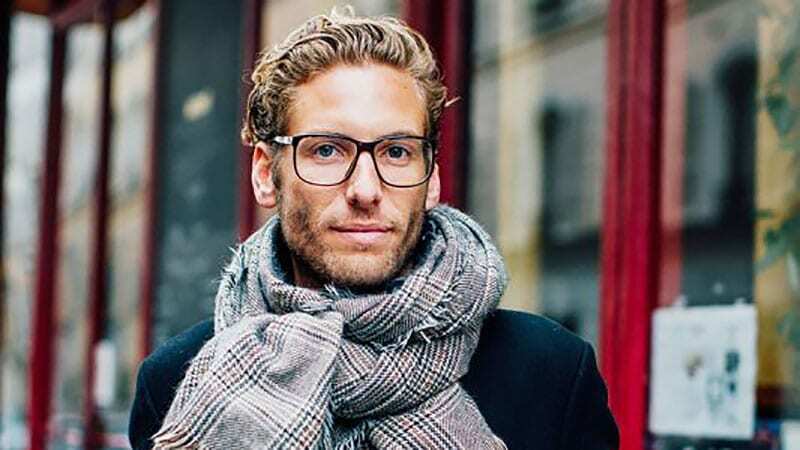 Curls with a medium length frame most gentlemen’s faces more efficiently, lending a bit more distinction to your natural jawline and cheekbones. Ironically, the art of perfecting messy curls is a bit trickier than just rolling out of bed. While you want to give the impression that you have done nothing at all to your hair, know that great messy curls can take time. As it can be a little harder to manage longer curls, apply a styling foam or mousse to your damp hair and scrunch and curl using your fingers to get the desired body you want. For control over longer and thicker hair, consider the angle of your cut to add dimension. For those with thicker curls that are more stubborn to work with, embrace your natural hair type and opt for a well thought out afro. We are not talking about an extra large mop of hair, but a strategically cut version that will allow you to control your hair. Be sure to find a great barber who will know how to cut your hair to emphasise your curls without making them look too overwhelming. While blow-drying your hair may make it look straighter than usual, we propose that blow-drying curls can be done to add volume and can work to redefine your natural bounce. Working product into your hair before and after you take a hair-dryer to your hair will also allow you to curl your hair with your fingers, lending more of a bouncy curl. Technically, you could say you are blow-drying your hair only to curl it again, but natural curls already bring added volume and allow you to redefine curls in a more effective manner. 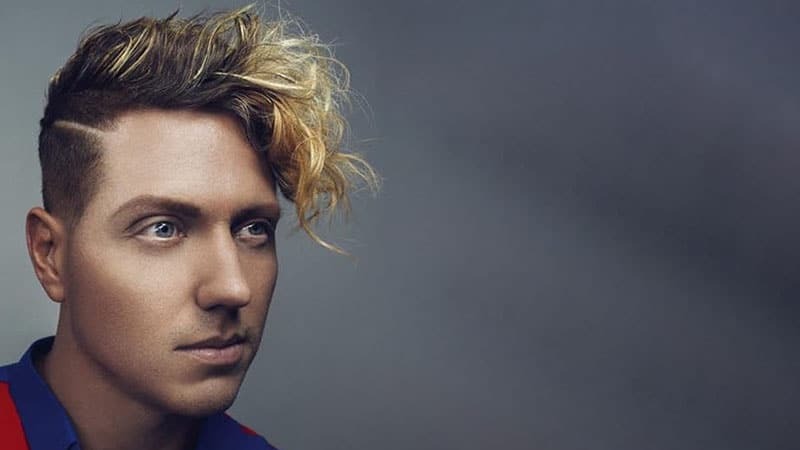 The male version of the popularised women’s haircut called ‘the lob’ is a rockstar-inspired take on curly hair which can be achieved with a matte product. You want to add a bit of texture, so don’t be too fussy with styling, it should look a little messy. Think grunge, but with a twist; you also want the hair to look thicker, so be careful with what product you use, opt for one that maximises your natural volume. 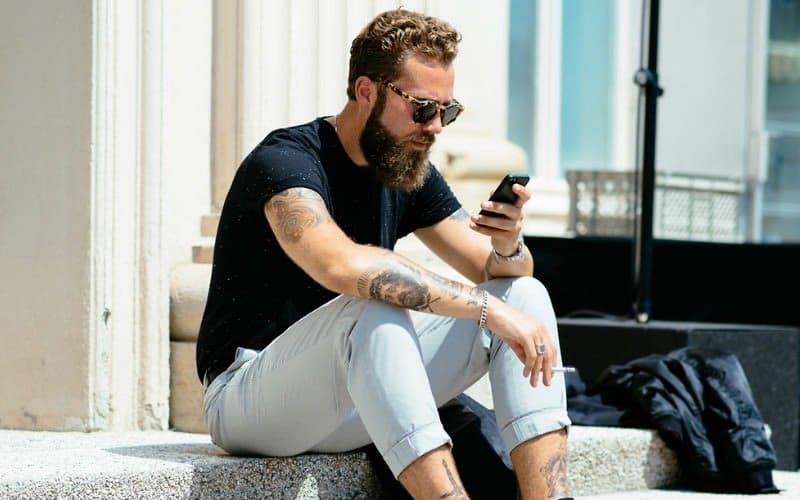 Another popular hair trend that looks even better with natural curls is the man bun, which works tremendously with coifed locks. Growing out curls can be a little frustrating for the first few months, but they usually have an excellent wave when your strands reach your chin or shoulders. 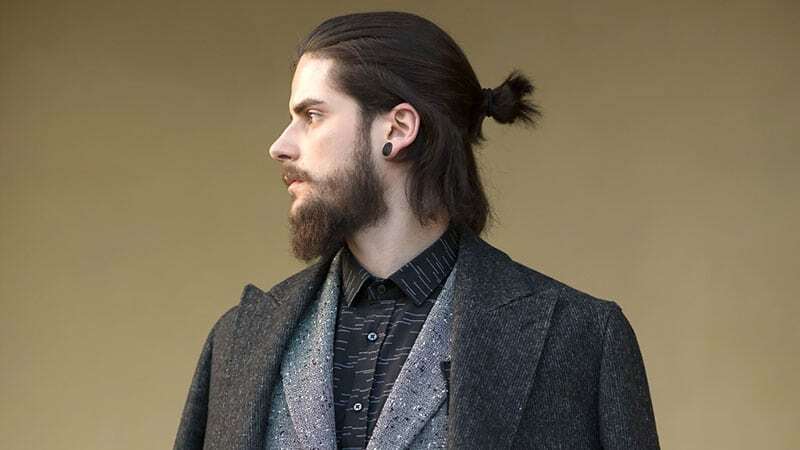 To maximise your curly man bun, go for a textured, slightly messy approach. Utilise a matte product and work it in with your fingers until you reach desired waves. A different way to channel longer curls is to style them with a product that has a subtle gloss. Particularly well suited for semi-formal or formal occasions, ensure your curls have a bit more shine and are well styled, as opposed to flaunting drier or more textured finishes. A low slicked back ponytail is also another way to channel longer curls for dressier occasions, adding a bit of sleekness to your longer curls, and still making a statement. For gentlemen with longer curls, you will need to make sure that your hair does not look too dry, so ideally you should aim to boost shine. The type of product you use should be your primary consideration. A mousse that emphasises the natural shine in your hair can be used to enhance the look of your curls, giving a sleeker finish to your natural waves as opposed to registering messy and unwashed. Opt for one that is higher in quality as you will be using more for longer hair and it will be more evident. 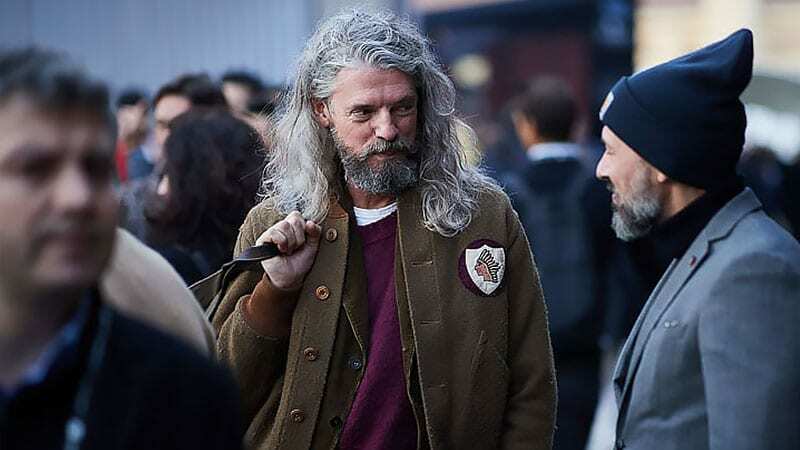 If you’re the kind of gent who suits a rugged and unrefined appearance, then long messy curls are made for you. This laid-back hairstyle projects a stylishly carefree look that is ideal for casual occasions. To ensure your hair doesn’t appear too out-of-control, however, be sure to do some subtle styling, such as sweeping it back or adding a simple side part. 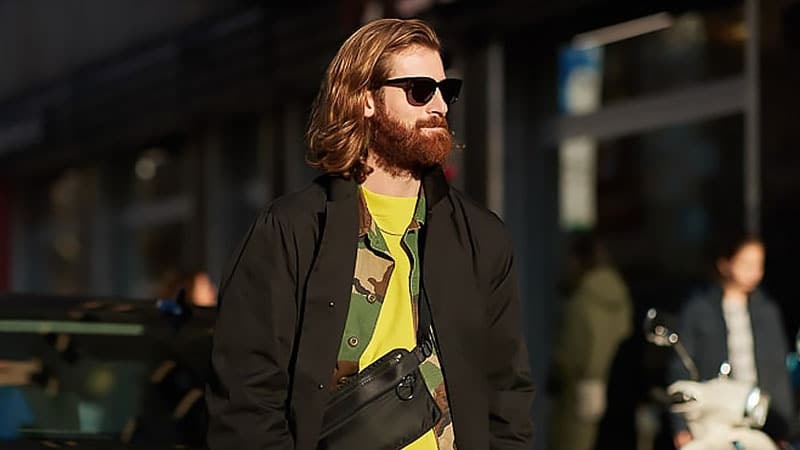 After all, while this look requires minimal styling, it’s still essential to ensure you appear stylishly dishevelled instead of completely unkempt. Taming long Afro-textured hair can be tricky. But, specific hairstyles can make it simpler. For example, dreadlocks are a classic and cool way to keep tight and thick curls from falling in your face and looking wild. Although it will take some effort to create and maintain the style, once you have embraced dreads, you’ll wonder how you ever got by without them. Best of all, once you have styled your long locks into dreads, you can then try other looks with them, such as a ponytail or bun. Be sure to pick a haircut and style that suit your specific type of curls. 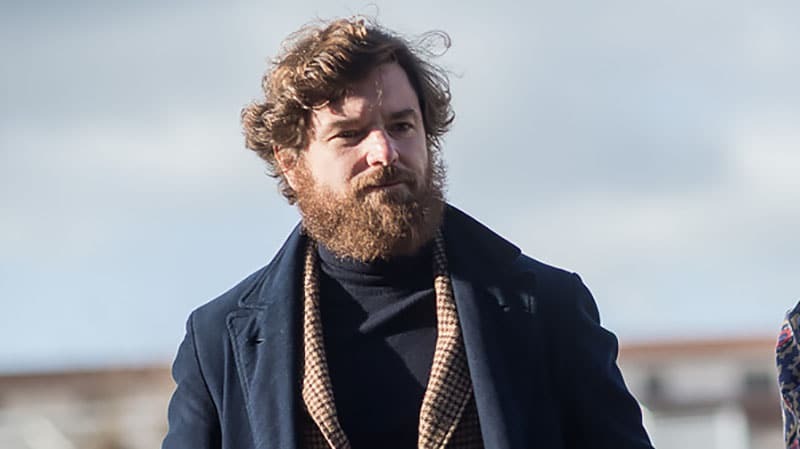 Opt for versatile and easy-to-manage looks to quickly tame wild waves every day. Invest in a high-quality, nourishing shampoo without sulphate to ensure your curls are kept hydrated and healthy. After washing, remove knots with a wide-tooth comb and avoid brushing, which can create frizz. Deep condition your curls every two weeks or so to repair damage and further boost hydration.